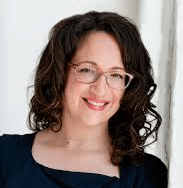 Amy Webb is a futurist, and founder of the Future Today Institute, which researches emerging trends and tracks them as they evolve from blips on the fringe to big movements in the mainstream. She’ll be coming to speak at the John Adams Institute on March 17 about her new book The Signals Are Talking, which describes the methods behind this research, and offers a systemic way of evaluating the potential of new ideas on the horizon. As a futurist, my job is not to spread prophecies, but rather to collect data, identify emerging trends, develop strategies, and calculate the probabilities of various scenarios occurring in the future. Futures forecasts are used to help leaders, teams, and individuals make better, more informed decisions in the present, even as their organizations face great disruption. Futures forecasting is taught at a number of universities around the world. I teach a popular MBA course on forecasting at New York University’s Stern School of Business. It’s an interdisciplinary field combining mathematics, statistics, engineering, technology, economics, game theory, history, geography, theology, physics, philosophy, anthropology, art and design. Tell us about your approach of reading the future. My methodology, which I’ve developed during the past eleven years at the Future Today Institute, involves six steps. First, you must visit what I call the “unusual suspects” at the fringe. From there, you uncover hidden patterns, connecting experimentation at the fringe to our fundamental human needs and desires. The patterns will reveal a possible trend, one you’ll then need to investigate, interrogate, and prove. Next, you’ll calculate the trend’s trajectory, timing and direction: Where is it heading, how quickly, and with what momentum? However, identifying a trend isn’t enough—you must develop probable, plausible, and possible scenarios in order to create a salient strategy. There is one final step: pressure-testing the strategy against the trend to make sure the action you’re taking is the right one. This is the methodology we use when developing trends reports, scenarios and recommended strategies for our Future Today Institute clients. A few years ago, I met with senior government officials and over a period of meetings warned them about the rise of populism, fake news and Russian botnets. Of course, there is no way of knowing exactly what will happen in the future – however the models I built strongly indicated that we’d have to deal with these issues soon, and that they would cause a number of problems. The models were correct, unfortunately. History is full of examples of those who try to foretell the future – and how they are either presciently right or laughably wrong. How should we (normal, everyday citizens) judge the possible validity of any given prediction? That’s a good question, and an opportunity for me to explain the different between predictions and forecasting. Trained, practicing futurists don’t make predictions. In fact, the word “prediction” is one we actively avoid. If everyday people can’t see or even visualize a trend as it is emerging, they subjugate it to the distant future and assume that we can have no bearing on it today. This is why you see so many predictions, where experts in various subject areas guesstimate when a particular tech innovation will arrive. And this is why predictions are usually wrong—because it’s just a guess. Especially now, since we fetishize the future and all the emerging technology that’s moving into the mainstream, there are a number of people who like to present doomsday scenarios or wildly optimistic visions of what the next several decades will look like. Predictions are dangerous. How far into the future do you think we can reliably see? I don’t think of time in the traditional, linear way. For futurists, saying that by the year 2030, we’ll all live together and will be moving around in flying cars is nonsense. Chaos theory tells us that are too many variables, and that the advancement of a technology is still subject to external influences—like natural disasters, government regulations, capricious developers. Rather than trying to predict what the world will look like in the year 2030, it’s better to develop a series of trends, data-based scenarios, and strategies that are recalibrated often. Anxiety is typically correlated to the way we see future events. What do you think is the healthiest approach to approaching the future? Think about what causes anxiety—it’s a lack of information. In times of great technological and scientific change, we tend to find ourselves feeling anxious. Right now, we’re standing on the precipice of several game-changing technologies––advanced robotics, automation, artificial intelligence, genomic editing, quantum computing––and if you don’t have a way to make sense of all the change that’s taking place, it can be an extraordinarily confusing time. The healthiest approach is to learn and use the tools of a futurist. And to stay away from all those prognostications and predictions! You send the message that rather than being passive recipients of the future, we are responsible for creating it. Can you tell us more about what that means? If you accept the idea that we humans are not soft, squishy robots carrying out someone else’s source code, but that we are in control of our own thoughts and actions, then we can infer that the future is not yet written. There is no such thing as destiny. That’s good news, because it means we humans have agency. We have a stake in what’s coming next. The future is our shared responsibility in the present. When you stop to think of the critical role that you, personally, play in what’s over the horizon, it can be very empowering. And by the way, reminding yourself of this fact is a good way to stave off anxiety. What are our limitations – the known unknowns, if you will – when it comes to forecasting the future? What are the things that prevent us from seeing accurately or completely? Humans are limited biologically. We use our past experiences to make sense of what’s happening in the present, and we combine that with information in order to think about the future. As a result, we are subject to our own biases. In my book, I refer to this as the “paradox of the present.” To overcome it, you need a different strategic thinking method. That’s what my forecasting tools are about. There’s an expression from the last century that goes: “Even the future isn’t what it used to be.” Do you agree, or is that old-fashioned now? I completely agree. Because we’re shackled by our own experiences, desires and aspirations, every generation finds itself arriving at the future somewhat disappointed. It’s 2017—why aren’t we all driving flying cars? Why aren’t we living on Mars? Meanwhile, there is tremendous technological and scientific achievement right in front of us. We’re just not able to see it, because it doesn’t follow the narrative we developed, in the absence of data and modelling, many years ago. How has being a futurist affected your own way of living in the moment? Given the current political climate in my country, and the rise of political extremism around the world, I’m having a difficult time leaving my work at the office. The Institute’s members and clients call me at all hours of the day and night. My husband and I talk through future scenarios at dinner. My daughter and I talk about her future, and what she wants for our country. Paradoxically, being a futurist at this moment in our human history has forced me to live in the moment, much more than I ever have before. Amy Webb will be speaking at Pakhuis de Zwijger on March 17, starting at 20:00. 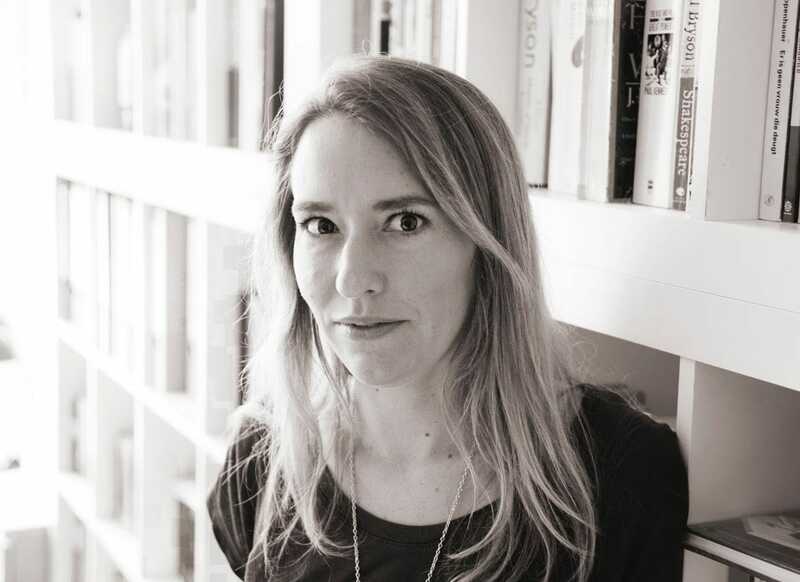 Katherine Oktober Matthews is an American freelance journalist in Amsterdam, and Chief Editor of GUP Magazine. For the John Adams Institute she regularly interviews upcoming speakers.